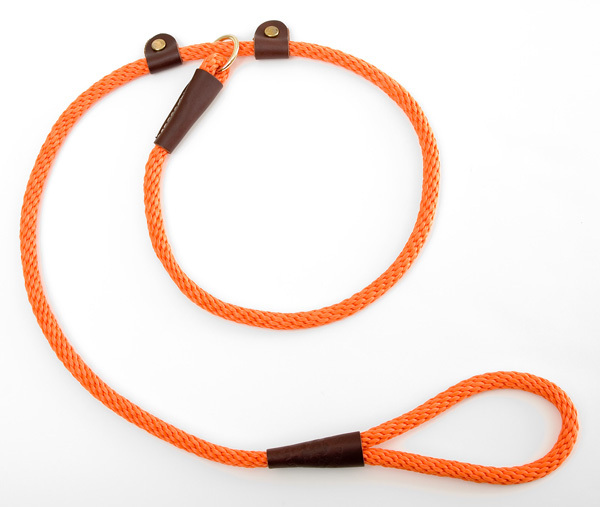 Mendota Pet Handler Lead: Orange, 3/8" x 36"
* Developed by a professional handler to keep your dog leashed while going to and coming off the line, this leash has all of the features of our tradition-al slip lead in a 3' length and with an extra leather stop to create a custom fit that will not tighten around your dog's neck. * Meets all AKC, UKC And HRC field trial and hunt test requirements. * Available in Camo Tweed & Orange. 36" x 0.38" x 0.1"